I won a prize! Hurrah! I’m obviously very happy. If you want to hear me answer a couple of questions and see the Peerage of Science crew engaged in some amusing video editing, look at the interview. How did that happen? After being told, about a year ago to check out the peer review platform Peerage of Science, I decided to keep reviewing manuscripts that showed up and were relevant to my interests. 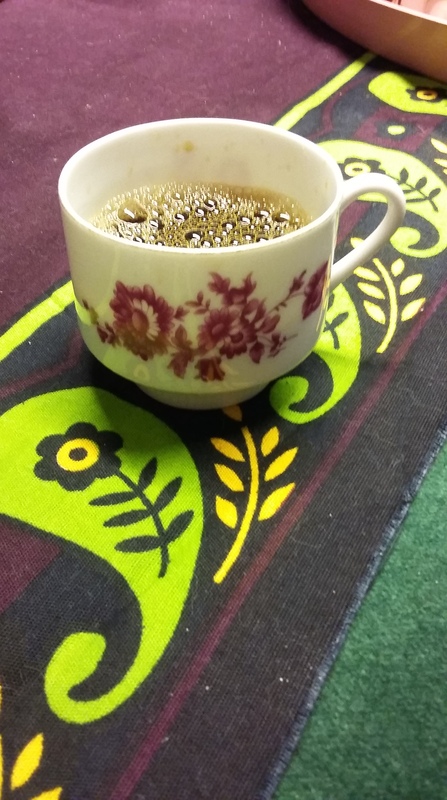 Reading and commenting on unpublished manuscripts is stimulating, and I thought it would help improve my reviewing and, maybe, writing. Maybe this is a testament to the power of gamification. I admit that I’ve occasionally been checking my profile to see what the score is even without thinking of any reviewer prize. After I wrote a post about reviewing papers, Craig Primmer suggested on Twitter that I look into Peerage of Science. Peerage of Science is a portal and community for peer review. It has a lot of good ideas. It decouples reviewing from journal submission, but it is still made for papers aimed to be published in a conventional journal. It collects reviewers and manuscripts from a different fields in one place, allows interested reviewers to select papers they want to review, and provides anonymity (if the authors want it). I once wrote a few sentences about what I thought ”optimal peer review” would be like, for a PLOS early career researchers’ travel grant. (I did not get the grant.) My ideas for better peer review were probably not that bright, or that realistic, but they did share several features with the Peerage of Science model. Naturally, I was interested. I’ve tried reviewing for Peerage of Science for a couple of months. My first impression is that it seems to work really well. The benefits are quite obvious: I’ve seen some of the papers get more reviews than they would typically get at a journal, and the reviews usually seem no less elaborate. The structured form for reviewing is helpful, and corresponds well with what I think a good review should be like. I think I’ll stick around, look out for the notifications, and jump in when a paper is close to my interests. I really hope enough people will use Peerage of Science for it to be successful. There seems to be an uneven allocation of reviewer effort. Some papers have a lot of reviewers, but some have only one. Of course, only the people at Peerage of Science know the actual distribution of reviews. 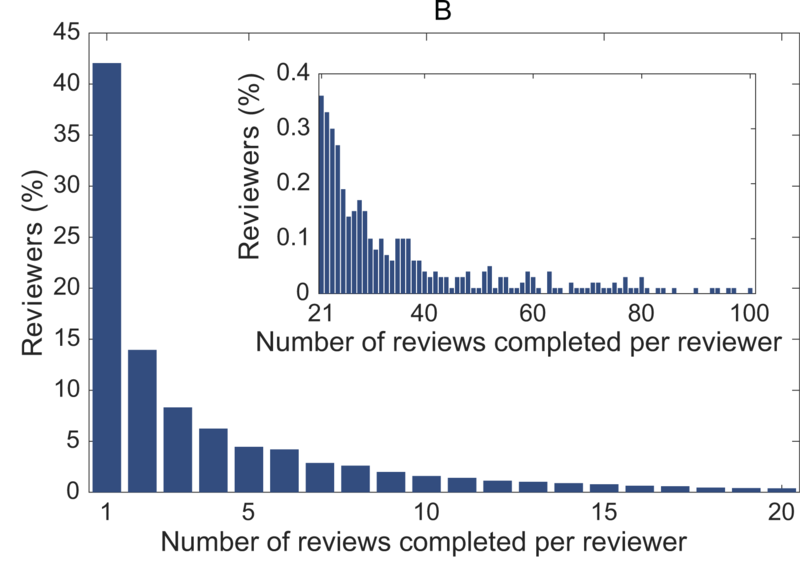 Maybe one reviewer processes are actually very rare! This is a bit like post-publication review, except that there, you can at least know who else has already commented on a paper. I know some people think that this is a good thing. Papers that attract interest also attract scrutiny, and thus reviewer effort is directed towards where it is most needed. But I think that in the ideal case, every paper would be reviewed thoroughly. This could be helped by an indicator of how many other reviewers have engaged, or at least already posted their essays. There is also the frustration of coming late to a process where one feels the reviewers have done a poor job. This was my first experience. I joined a review process that was at its last stages, and found a short, rather sloppy review that missed most of what I thought were the important points, and belaboured what I thought was a non-issue. Too late did I realize that I could do nothing about it. Who reviews the reviewers? The reviewers do. I see the appeal of scoring and weighting reviews. It certainly makes reviewing more of a learning experience, which must be a good thing. But I feel rather confused about what I am supposed to write as reviewer feedback. Evidently, I’m not alone, because people seem to put rather different things in the feedback box. Peerage of Science encourages Authors to remain anonymous during the review process, to ensure unbiased peer review and publishing decisions. Reviewers usually expect this too, and may perceive signed submissions as attempts to influence their evaluation and respond accordingly. Also, I’d really really really love to be able to turn down the frequency of email notifications. In the last four days, I’ve gotten more than one email a day about review processes I’m involved in, even if I can’t do anything more until after the next deadline. Figure 1B from Kovanis & al (2016) PLOS ONE (cc:by 4.0). If we take these numbers at face value (but we probably shouldn’t, because Publons users seem likely to be a bised sample of researchers), my 4-6 reviews in a year fall somewhere in the middle: on the one hand, more than half of the researchers review fewer papers, but it’s a lot less than those who review the most. Besides, some researchers may be willing to contribute but are never invited. An automated method to improve the matching between submitted articles and the most appropriate candidate peer reviewers may be valuable to the scientific publication system. Such a system could track the number of reviews performed by each author to avoid overburdening them. This seems right to me. There may be free riders who refuse to pull their weight. But there are probably a lot more of people like me, who could and would review more if they were asked to. A way for editors to find them (us) more easily would probably be a good thing. One fun thing that happened after I received my PhD is that I started getting requests to review papers, four so far. Four papers (plus re-reviews of revised versions) in about a year probably isn’t that much, but it is strictly greater than zero. I’m sure the entertainment value in reviewing wears off quite fast, but so far it’s been fun, and feels good to pay off some of the sizeable review debt I’ve accumulated while publishing papers from my PhD. Maybe I’m just too naïve and haven’t seen the worst parts of the system yet, but I don’t feel that I’ve had any upsetting revelations from seeing the process from the reviewer’s perspective. Of course, peer review, like any human endeavour, has components of politics, ego and irrationality. Maybe one could do more to quell those tendencies. I note that different journals have quite different instructions to reviewers. Some provide detailed directions, laying out things that the reviewer should and shouldn’t do, while others just tell you how to use their web form. I’m sure editorial practices also differ. One thing that did surprise me was when an editor changed the text of a review I wrote. It was nothing major, not a case of removing something inappropriate, but rewording a recommendation to make it stronger. I don’t mind, but I feel that the edit changed the tone of the review. I’ve also heard that this particular kind of comment (when a reviewer states that something is required for a paper to be acceptable for publication) rubs some people the wrong way, because that is up to the editor to decide. In this case, the editor must have felt that a more strongly worded review was the best way to get the author to pay attention, or something like that. I wonder how often this happens. That may be a reason to be even more apprehensive about signing reviews (I did not sign). So far, I’ve never experienced anything else than single-blind review, but I would be curious to review double-blinded. I doubt the process would differ much: I haven’t reviewed any papers from people I know about, and I haven’t spent any time trying to learn more about them, except in some cases checking out previous work that they’ve referenced. I don’t expect that I’d feel any urge to undertake search engine detective work to figure out who the authors were. Sometimes, there is the tendency among scientists and non-scientists alike to elevate review to something more than a couple of colleagues reading your paper and commenting on it. I’m pretty convinced peer review and editorial comments improve papers. And as such, the fact that a paper has been accepted by an editor after being reviewed is some evidence of quality. But peer review cannot be a guarantee of correctness. I’m sure I’ve missed and misunderstood things. But still, I promise that I’ll do my best, and I will not have the conscience to turn down a request for peer review for a long time. So if you need a reviewer for a paper on domestication, genetic mapping, chickens or related topics, keep me in mind.